What an amazing thing you both are doing!! Love from the Cefalus to the Browns! Bless you for being willing to be a blessing!! Nathan and I are traveling to Haiti in September with LifeChurch. We will be teaming up with Living Water to help build a well in Cap Haitian, Haiti. Cap Haitian is the second largest city in Haiti. 40% of the people lack access to clean water and only one in five have access to a sanitary toilet. 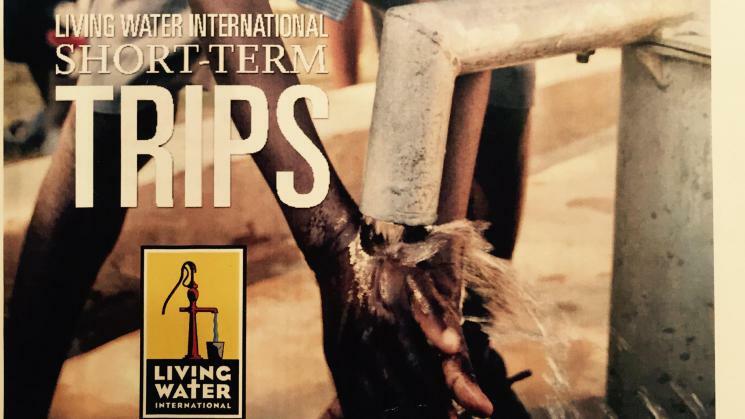 Please pray for us as we share God's love through the building of a fresh-water well and teaching hygiene classes. We will be so grateful if you choose to partner with us! !